The Iranian Circle abides by WIN’s mission and policies and will follow an expanded mission and set of goals in it’s programming. The Circle will focus on raising consciousness on issues related to Iranian women both inside Iran and in the diaspora. In addition, the Circle aims to serve as a bridge not only connecting the Iranian women’s communities but also to connect them with other women globally. ICWIN believes that while women share universal issues and struggles, they also have unique issues and struggles within their own socio-political communities and individual lives. Hence, ICWIN aims to discuss and present topics related to gender equality in a global framework. 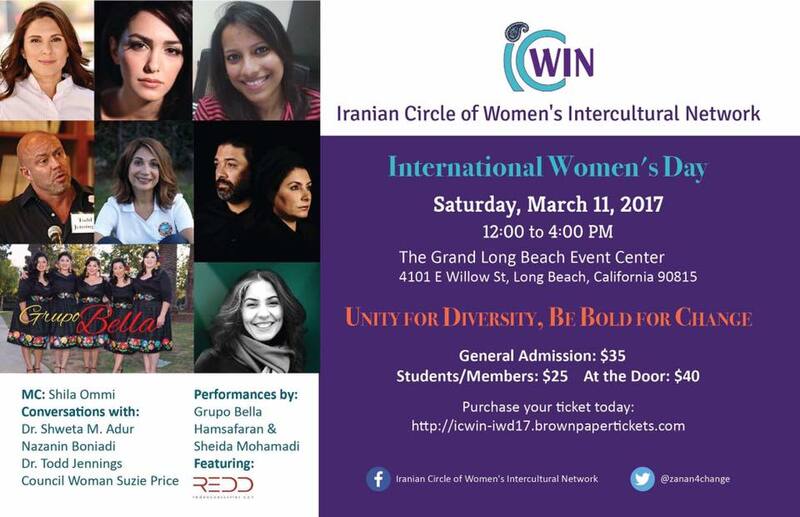 ICWIN was formed in August of 2015 after seven months of deliberations with the Iranian women’s communities in Los Angeles and Long Beach. 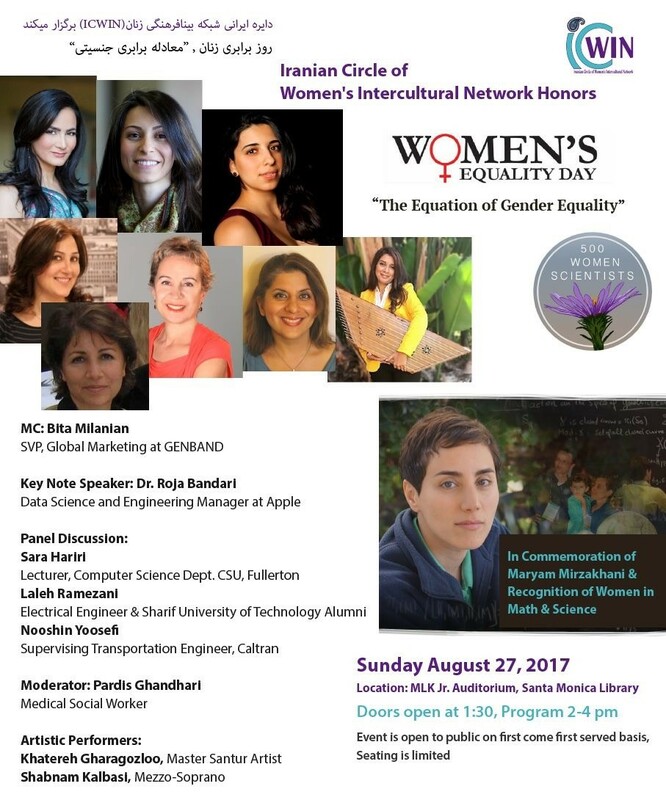 The addition of the Iranian Women’s circle was announced at the 20th anniversary celebration and call to action that WIN held in San Francisco on September 12, 2015. 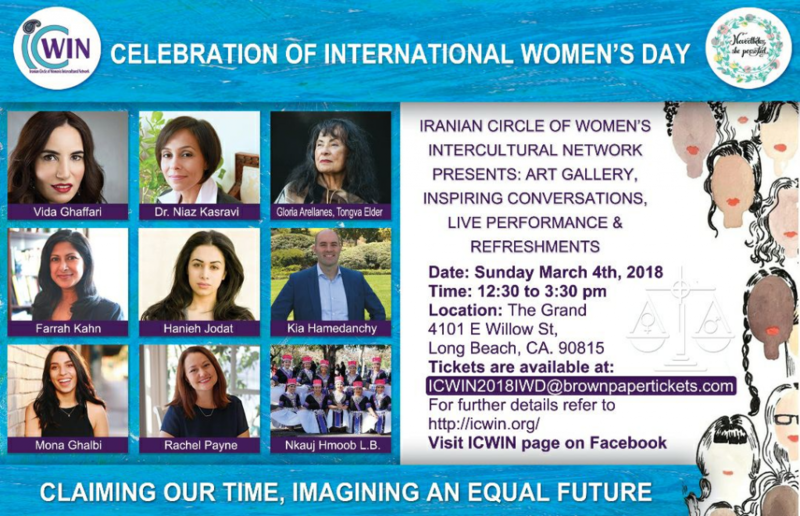 ICWIN has organized an amazing event for International Women’s Day. We are honored to have Dr. Niaz Kasravi, a national expert and advocate on criminal justice, social justice, and racial justice as keynote speaker. We are also honored that Gloria Arellanes, the elder of Tongva / Los Angeles who has been for more than 40 years at the forefront of the Chicana and indigenous movements will start the event with a pray. The talented Vida Ghaffari will be the MC of the program, and Hanieh Jodat, Director of the partnership of Women’s March Foundation LA will moderate a panel of younger people running for public office from Orange County including Kia Hamendanchi who is running for Congress. The dance group of Hmong community will bring joy to the stage on this International Women’s Day. Come right at 12:30 as ICWIN have invited the talented the talented violinist Justina Jones from 12:30-1:00 pm to play the violin while you browsing the Art Gallery. Scroll down to see more about this program…. Need to register to vote in 2018 election, we make it easy for you at this event. * Dr. Niaz Kasravi, National expert, and advocate on criminal justice, social justice, and racial justice. She is Founder and Director of the Avalan Institute for Applied Research Solutions, a research, advocacy & training institute. 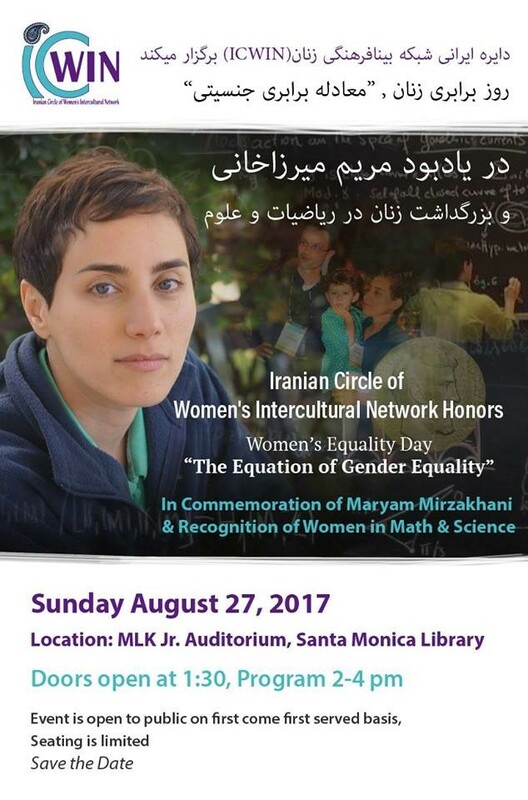 In Commemoration of Maryam Mirzakhani and Recognition of Women in Math and Science.